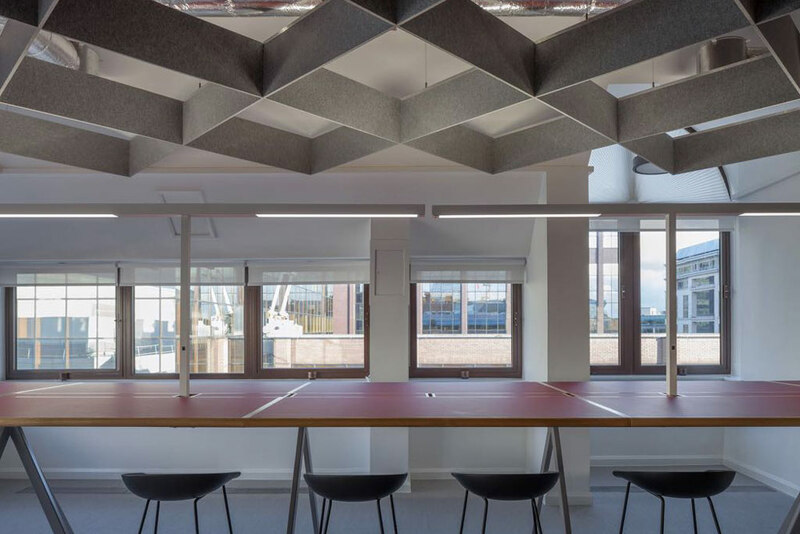 A refurbishment at the Birmingham offices of this Engineering Consultant called for acoustic treatment. 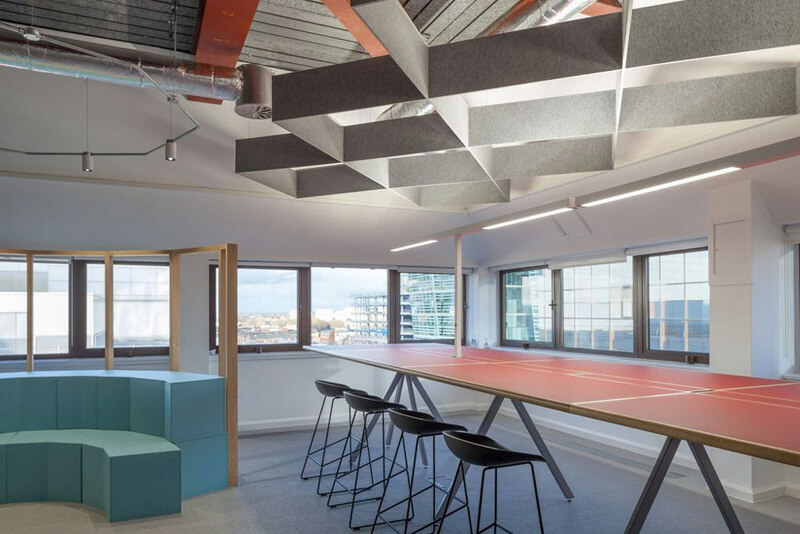 A large open-plan space and various break out spaces required sound absorbing materials to deaden the environmental noise and create a more productive and effective work environment. We custom cut the versatile Cube panel from Autex and formed it into its own unique acoustic baffle. 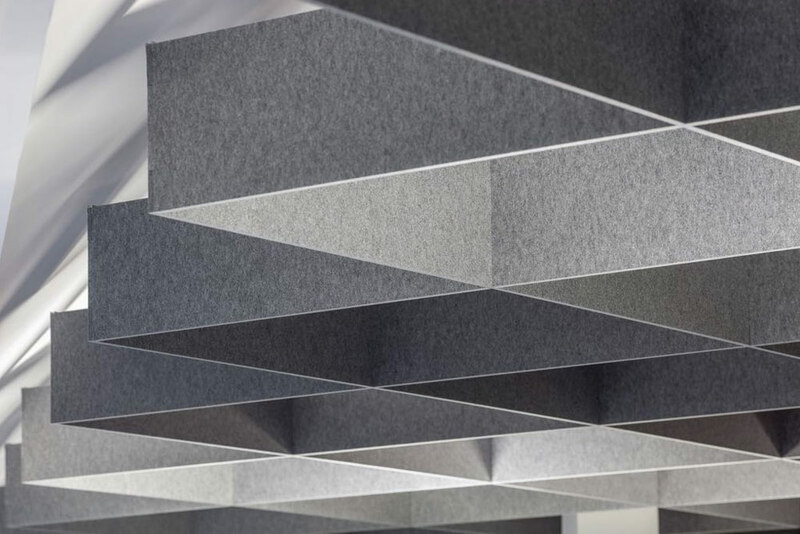 The finished product is a three-dimensional ceiling feature that represents an integrated acoustic system, rather than an installation of stand-alone baffles. 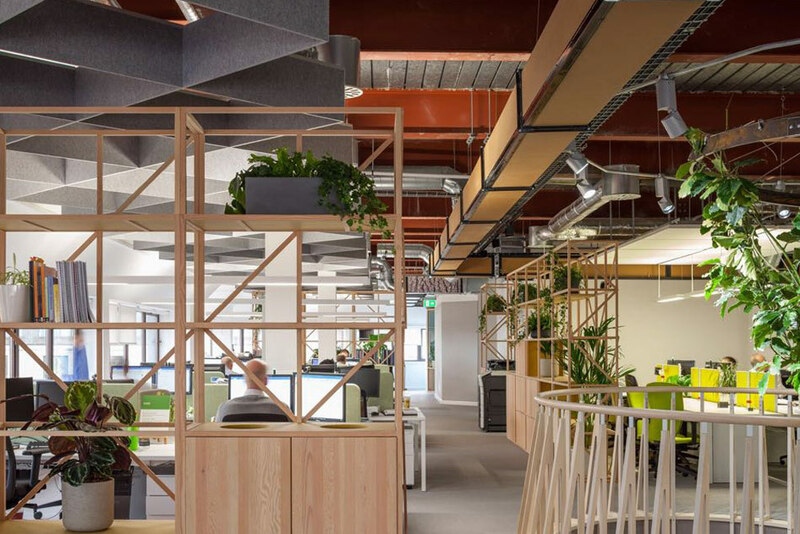 The installation’s linear design matches well with the emphasis of striking lines in the office.